Unmetric is helping social media marketers predict the impact of their posts. 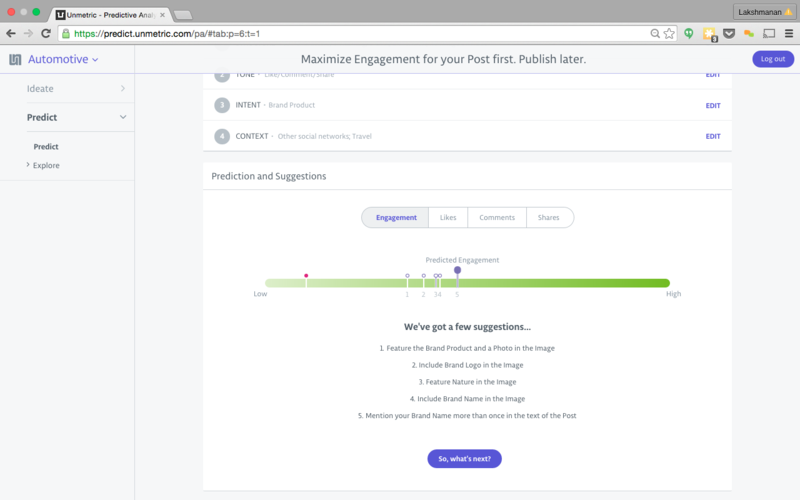 The social media intelligence platform has launched a new tool called Predict, which allows marketers to input details about a planned piece of social content to see an estimate of the engagement the post will receive. For example, marketers can input details including the post’s structure, tone, intent and context. The machine learning algorithm then provides an estimate of engagement the post will receive based on the number of likes, comments and shares. Then, Predict provides recommendations for ways to boost the post’s engagement and delivers new predictive results based on those edits. It is important to note that Predict is being offered as a custom tool for individual enterprise brands leveraging the Unmetric platform. Moreover, each build is based on the brand’s specific sector, desired competitors and relevant tags.